What a busy, busy post-conference week! I've been busy recapping ASSM, the NCTM Research Conference, and the NCTM Annual Meeting, and from the looks of it the rest of you have been writing and sharing, too. There's a ton of new literature below in the research journals! 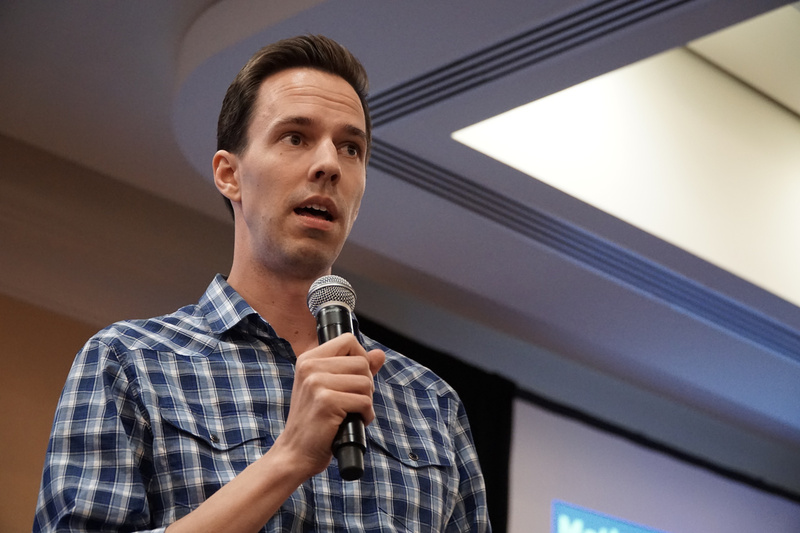 April 15: Michael Fenton shared materials from his presentation at NCTM. April 16: Nine people shared Dylan Kane's post "Math Ability." It's a great thought-piece about whether math ability exists, or what form it takes, and if it has limits. April 18: It's the Monday after NCTM 2016, so naturally people were sharing the link to proposal submissions for NCTM 2017. April 19: Two blog posts tied with 10 (re)tweets a piece, and I'm really glad they did because I wouldn't want to have to decide which of these is the better post — they're both awesome! First, Tracy Zager tells a great story about her daughter's mathematical reasoning at Ghirardelli Square in San Francisco. Second, Jamie Duncan (@jamiedunc3) (who somehow wasn't on my math ed Twitter list!) wrote "First Grade Math Fight... Fractions, Proportional Reasoning, and Algebra, Oh my!." That post describes her rigorous and engaging approach to getting students to reason with fractions while considering wholes of different sizes. It ties together standards, multiple representations, class discussions, and cookies, and is what I consider to be a great example of what lesson reflection blogging can be. April 20: Jaime's post was quite popular this day, too, but so was another KQED MindShift story by Katrina Schwartz, "How 'Productive Failure' In Math Class Helps Make Lessons Stick." April 21: People liked Joe Schwartz's "Dot Crazy," his reflection on a great counting activity done with a third grade class. I dare you to not read a post that includes the line, "Math started gushing out all over the place." The Global Math Department brought a bunch of people to reflect on their NCTM experience. Next week's GMD talk is "Coding in Math Class." Dawn DuPriest which will help us look at different ways for a beginning coder/programmer to get started. ZDM has their first issue of the year, a double-issue with the theme, "perception, interpretation and decision making: understanding the missing link between competence and performance." Sigrid Blömeke and Jon Star were the issue editors. Here are new articles in the Spring 2016 issue of the Journal of Mathematics Education at Teachers College. Remember, these are all open access! I think while everybody was away and conferences all the editors of the above journals decided to hit their "publish" buttons. Whew! 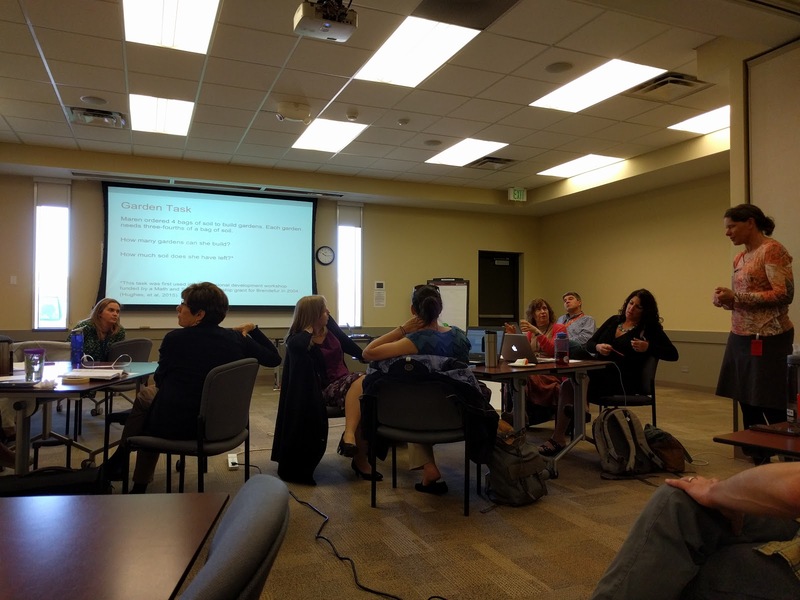 I attended a CoMMIT meeting yesterday and had a great time learning about the group and doing a task posed to us by Kim Bunning, CU-Boulder CU-Teach master teacher. Some of the toughest questions about math ed I get are from special education teachers, and they also seem to be hungriest for the answers. I think I'm going to learn a lot from this group — far more than they'll learn from me, anyway. The deadline for submitting CCTM conference proposals is May 1! The University of Northern Colorado is offering three graduate level math courses this summer as part of their Masters in Mathematics: Teaching Emphasis program. You don't have to be in the program to take the courses. A tentative schedule of courses through Spring 2018 and contact information is here. 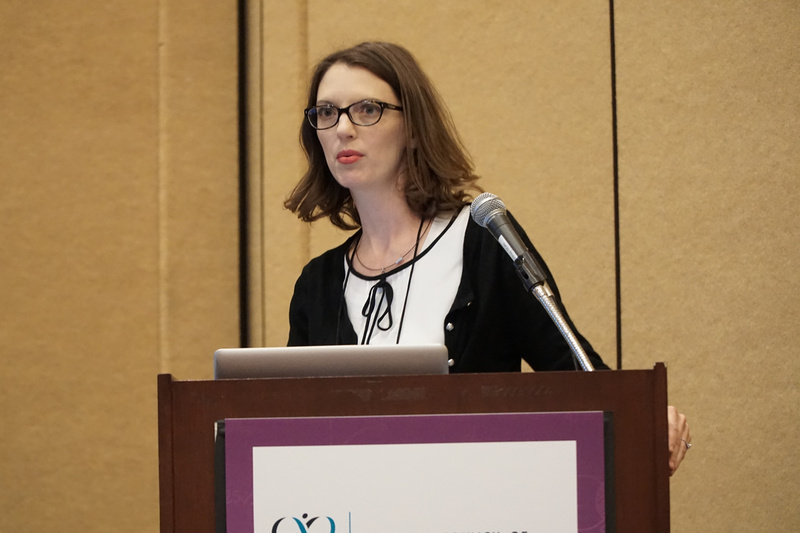 Rebekah Ottenbreit from CDE's Office of Culturally and Linguistically Diverse Education is offering two more sessions focused on helping math teachers and ESL/bilingual educators use tools and strategies to make mathematics content more accessible to English learners. You can grab a flyer here. The grand opening of the Geometry Park exhibit in Lafayette (201 S Bermot St) will be Wednesday, May 25th, from 2:00 to 4:00 pm. The park is supported by the Center for STEM Learning at CU-Boulder and you can read more about the park here. See the Rocky Mountain Math Teachers' Circle website and the Northern Colorado Math Circles for information about upcoming events, including a joint workshop in Durango from August 8-11. You have until June 15 to apply for that one! The "Expanding Your Horizons" symposium for middle school girls interested in STEM registration begins March 1. Delta County is looking for a math teacher at Delta High School to teach upper-level math. Contact Todd Markley for details. Hope Learning Academy is looking for secondary math teachers.